No matter where you are in your car buying journey, it helps to have a team of experts by your side to steer you in the right direction. 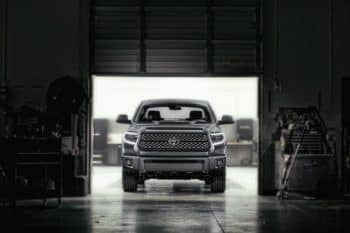 At Andy Mohr Toyota, we have all the tools you need for buying and keeping a Toyota for a long time, including a large inventory, a professional finance team, and a group of helpful technicians. Learn more about the town that we continue to serve today, and how we help drivers like you regularly at our Mooresville Toyota dealership. Mooresville is a town in Morgan County, IN, with a population of about 9,300. It was founded in 1824 by a Quaker named Samuel Moore, who called the town Mooresville after his last name. But the town slogan (“Home of the State Flag”) was actually in honor of Paul Hadley, who designed the Indiana state flag and lived in Mooresville for many years. Today, there are many ways to learn about the history of this town. One way is to visit the Academy of Hoosier Heritage, located in the first Mooresville High School Building. Here, you can check out exhibits showcasing Mooresville’s and the area’s history from the 1800s on. One of the permanent displays includes belongings of Hadley, as well as items from Moore’s home. To further explore everything that Mooresville has to offer, you’ll need a reliable vehicle to get around town, which you can find in our inventory. We offer a wide array of new Toyota vehicles, including the Camry, Corolla, and RAV4. If you want to learn more about any of the vehicles on our lot, you can always read our reviews online, where we’ll go over points like performance specs, interior features, and advanced technologies. Then, when you find a vehicle that sparks your interest, schedule a test drive, and we’ll get you behind the wheel to experience the car in person. While we have plenty of new cars, we also have lots of used coupes, sedans, SUVs, and trucks, including some that are Toyota Certified Pre-Owned (CPO). Not only does a CPO vehicle undergo a 160-point quality assurance inspection, but it also comes with benefits like a Limited Powertrain Warranty and roadside assistance. When it’s time to drive home in your ideal vehicle, there are a few easy steps to take to help make the buying process as easy as possible. The first is to fill out our short and secure finance application to get pre-approved. Then, visit the experts in our finance center. They’ll meet with you one-on-one to discuss your budget and driving needs. They’ll then come up with a payment plan that you can feel confident about. Based on that information, they’ll reach out to local banks and lenders to get you a plan with terms that you deserve. After you get your next vehicle, you’ll want to keep it lasting for as long as possible. To do this, you can bring it to our service center for routine maintenance and any necessary repairs, which you can schedule by calling us or making an appointment online. Our service experts have lots of experience working on all types of vehicles, getting to know them inside and out. Not only can they answer any question you may have about the inner workings of your car, but they’ll use only genuine parts to get your vehicle in tip-top shape. If you’re looking for a new or used Toyota, or need help with your current vehicle, contact us at Andy Mohr Toyota. We’ve been serving the area of Mooresville for many years, and we look forward to working with you.